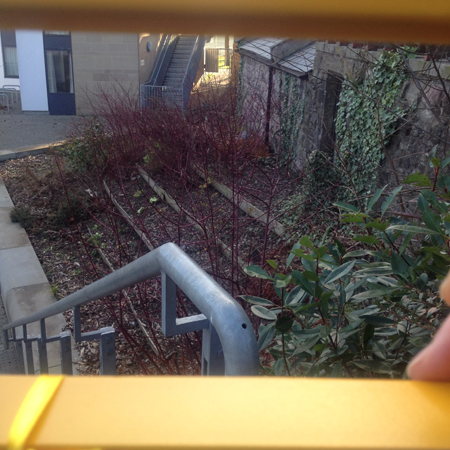 Terraced raised beds on steps - an edible welcome to museum! 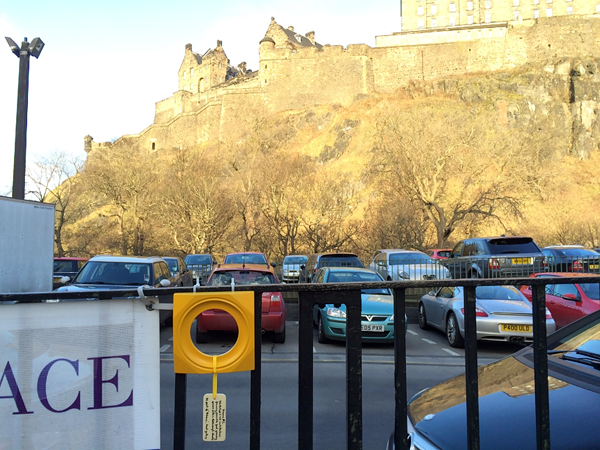 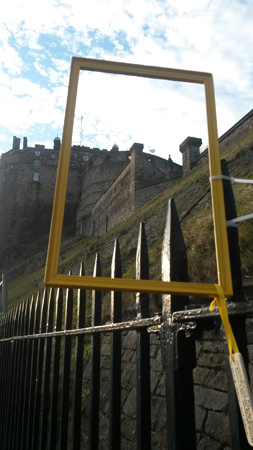 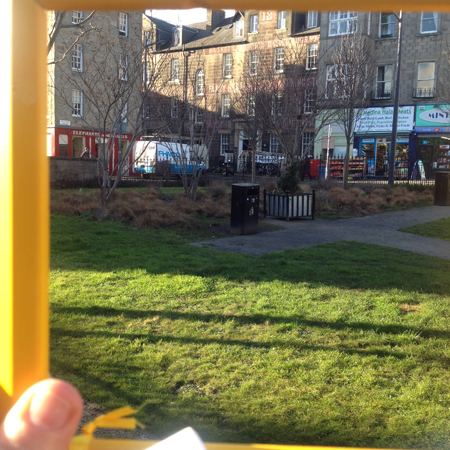 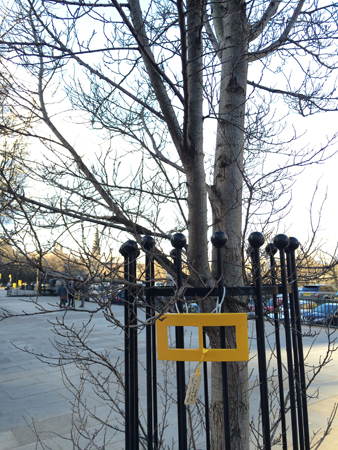 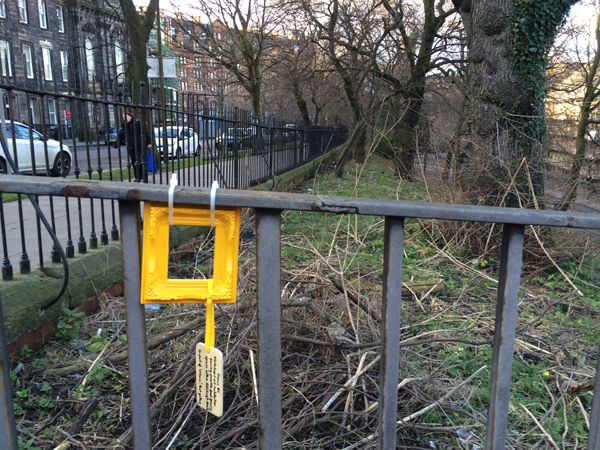 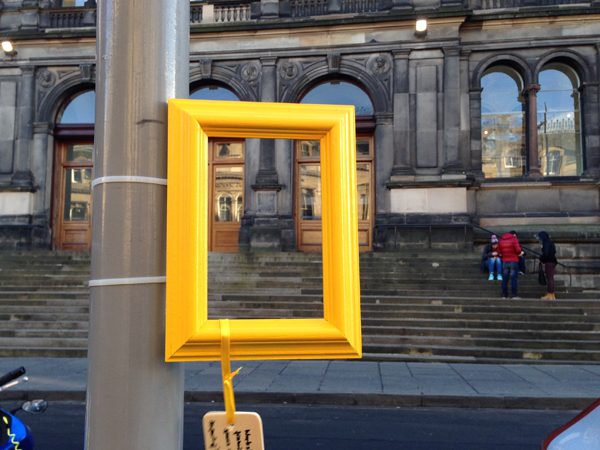 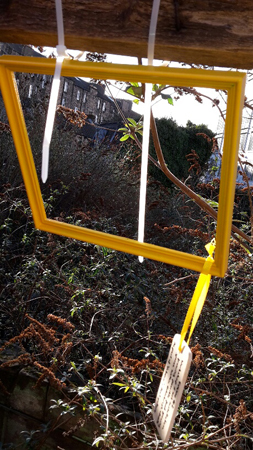 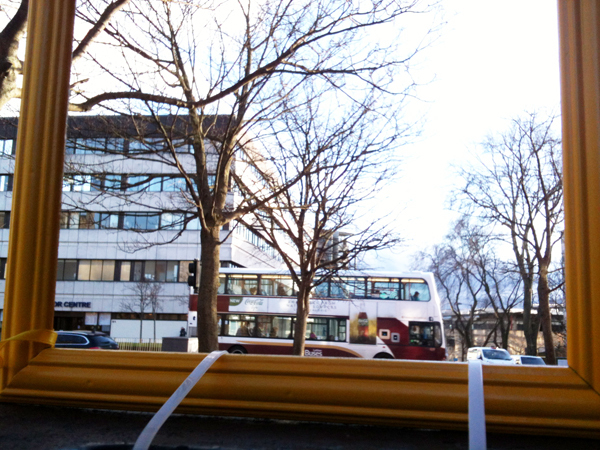 Frame #2 is a workshop and art installation which takes the question ‘How can we sustain ourselves within our city spaces?’ from the gallery space into Edinburgh streets. 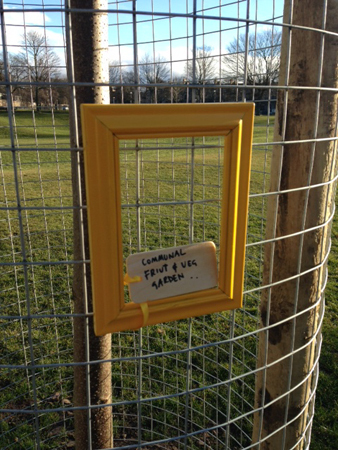 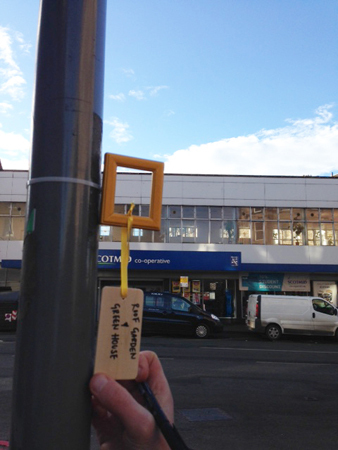 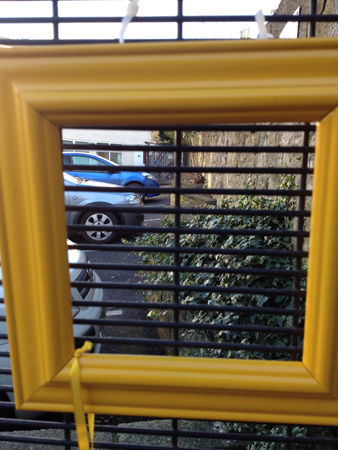 As part of this workshop 18 participants explored the City Centre investigating where and how food growing could take place by installing 21 picture frames. 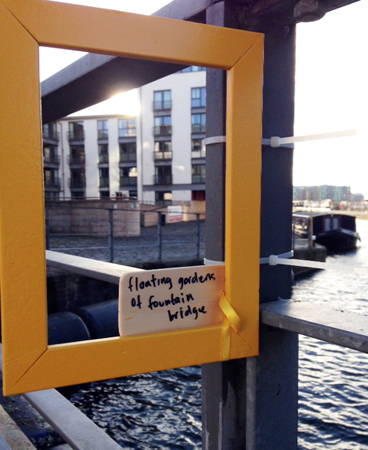 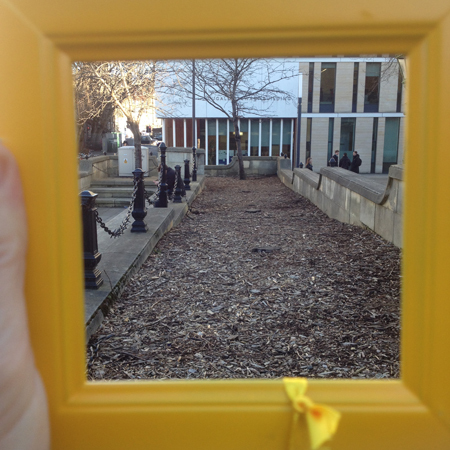 By installing these frames participants engage with their surrounding but they also leave artworks behind. 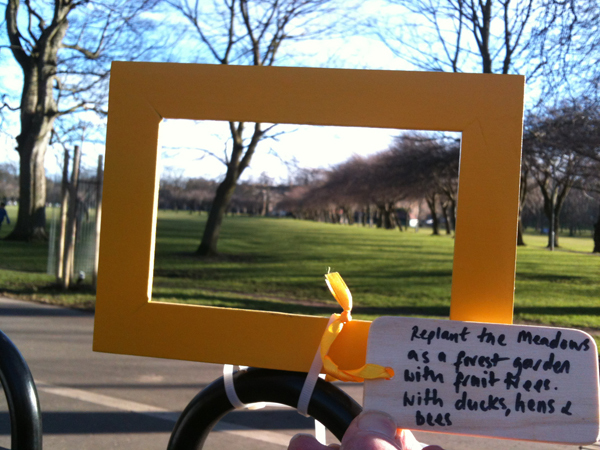 Every frame includes a tag which carries the title given by each participant as well as information about this activity. 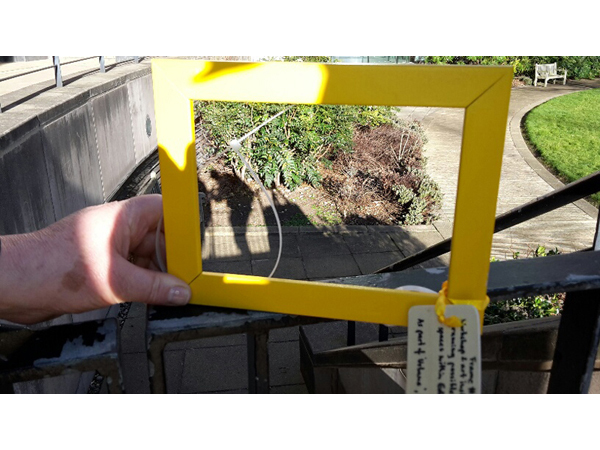 It gives the opportunity for passerby’s to find out about this workshop, it challenges their perception of open urban spaces and they become involved as well. 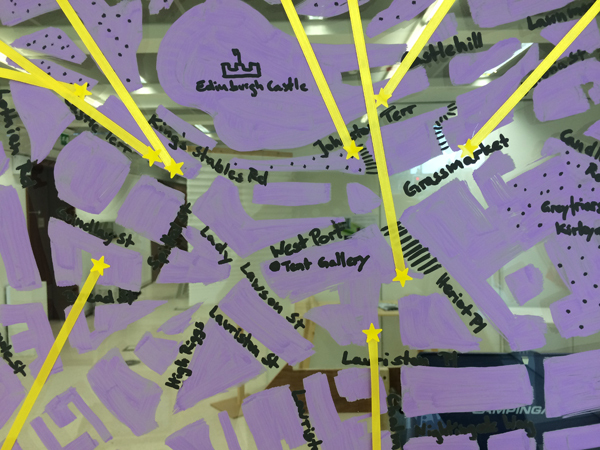 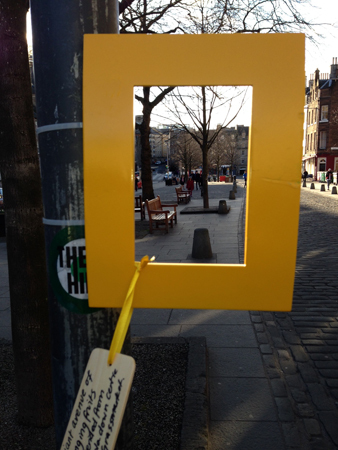 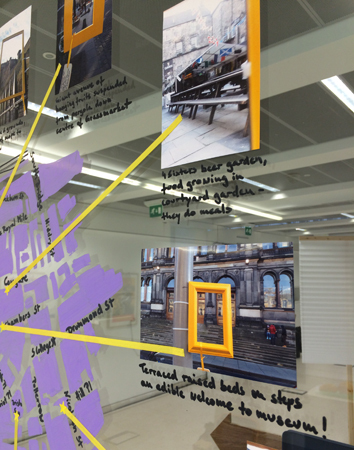 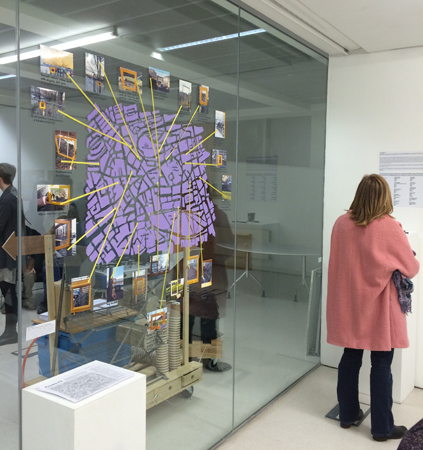 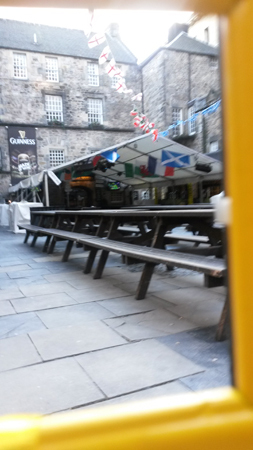 This installation was created as part of the workshop series and exhibition ‘Urbane – Our Urban Relationship to Food’ by Allison Palenske, Tent Gallery, Edinburgh where a map with all frame locations was available. 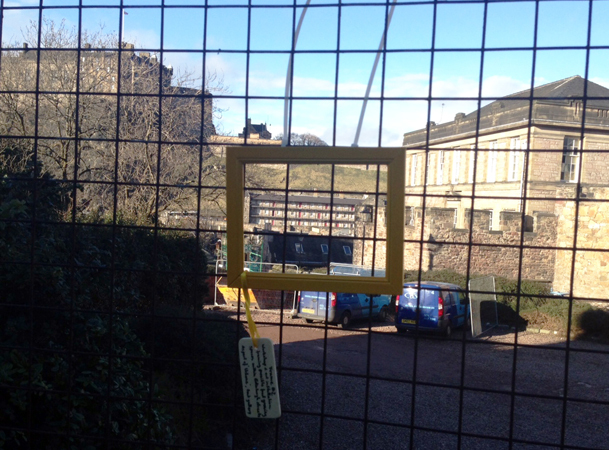 The first ‘Frame’ workshop and exhibition took place in Dumfries. 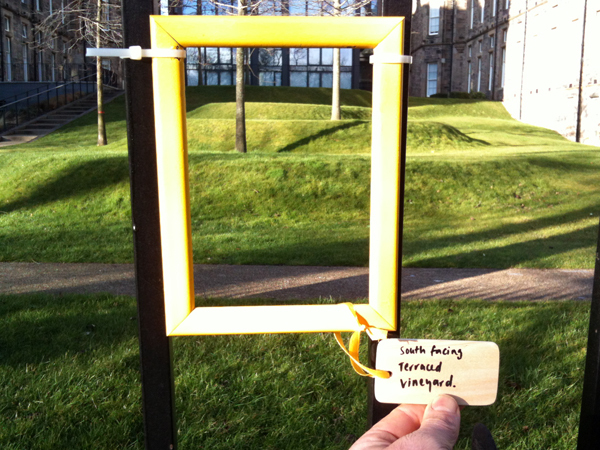 All photographs of installed frames are taken by workshop participants.